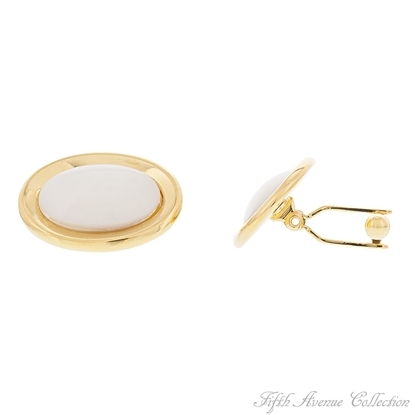 Get noticed when you're out on the town wearing these sophisticated oval cufflinks finished in gleaming gold or radiant rhodium. 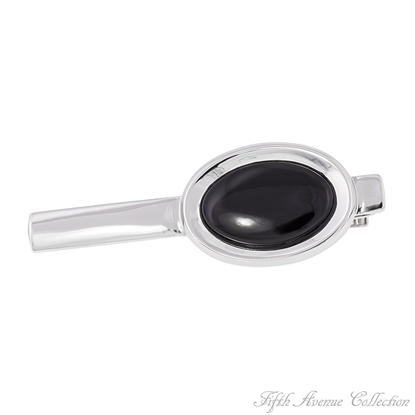 The smooth glassy surface of the black onyx or white mother of pearl will draw everyone's gaze. 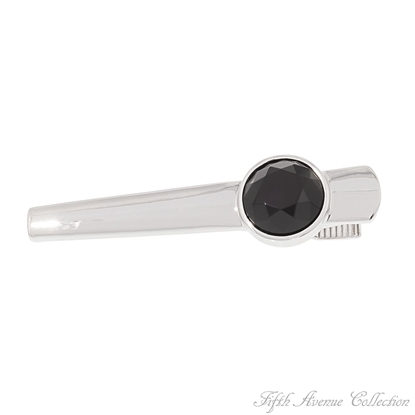 Make it “A Night to Remember” by wearing the matching tie clip.Nickel and lead free. 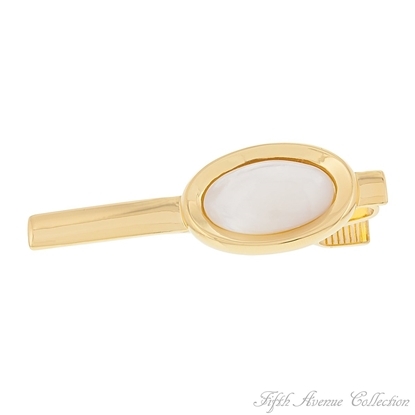 Get noticed when you're out on the town wearing this sophisticated oval tie clip finished in gleaming gold or radiant rhodium. The smooth glassy surface of the black onyx or white mother of pearl will draw everyone's gaze. 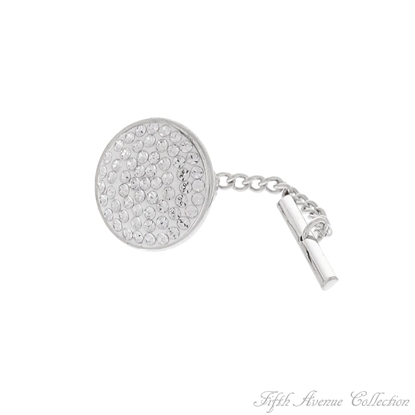 Make it “A Night to Remember” by wearing the matching cufflinks.Nickel and lead free. "Bar None", this handsome design goes to the top of the list for style. Bars of trendy rubber and stainless steel make a fine statement. Look outstanding wearing circles of black onyx dotted with sparkling crystals finished in rhodium. 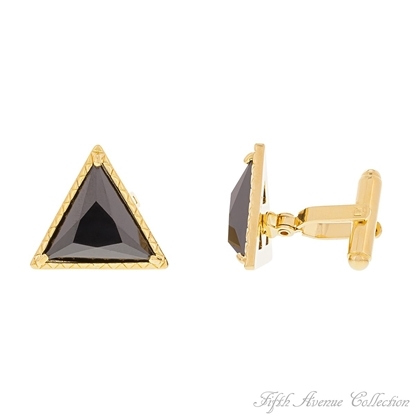 Antique finished hexagon cufflinks studded with Swarovski's smoky quartz crystals make these unusual cufflinks something to be desired.Matching tie tack available. "Game On!" 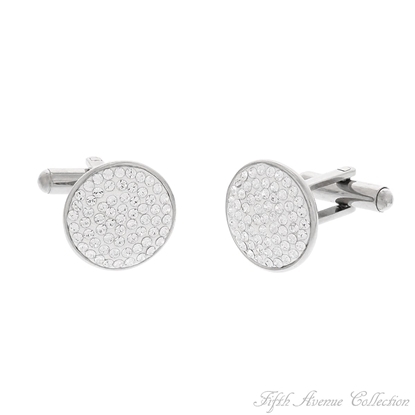 The winner is the best dressed man in the crowd, wearing these stylish cuff links studded with Swarovski clear crystal.Nickel, lead and cadmium free. "Game On!" 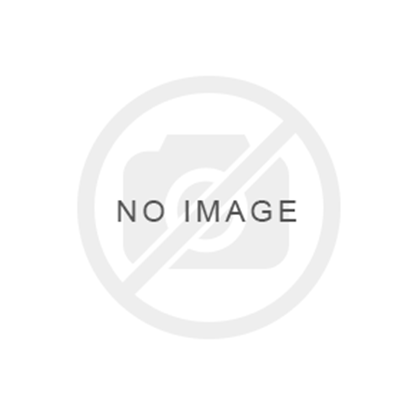 The winner is the best dressed man in the crowd, wearing this stylish tie tack studded with Swarovski clear crystal.Nickel, lead and cadmium free. 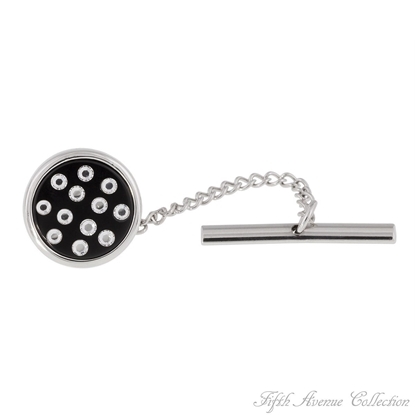 Look like a "Hot Shot" but act like a gentleman wearing this handsome Swarovski studded tie tack.Nickel, lead and cadmium free. 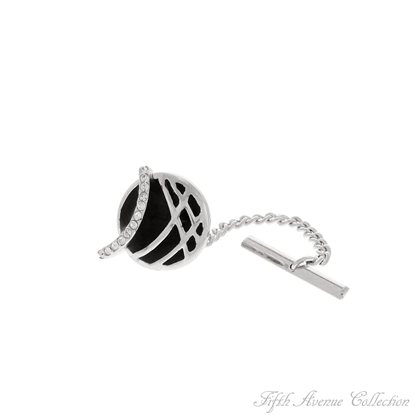 This tastefully designed tie tack feature black enamel and Swarovski clear crystal set in rich rhodium to give the lowdown on men's good taste in fashion.Nickel, lead and cadmium free. Why wait for the weekend when you can look debonair tonight! 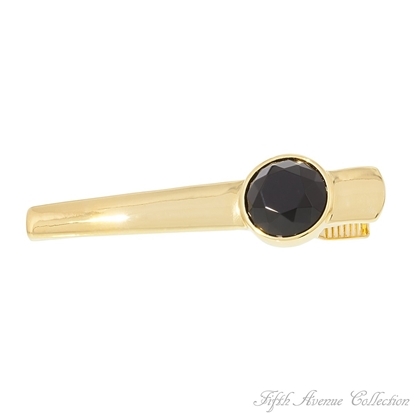 Get out there and make a statement with this fabulous designer cut black tie clip. Finished in your choice of warm gold or cool rhodium. 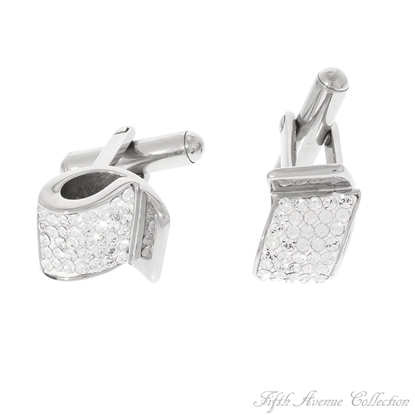 With the complimentary cufflinks they are bound to make every 'Thursday Night' spectacular.Nickel and lead free. Join the "Ivy League" wearing this crystal-encrusted football finished in gold.Nickel and lead free. Show the world who's boss and look the part while doing it. 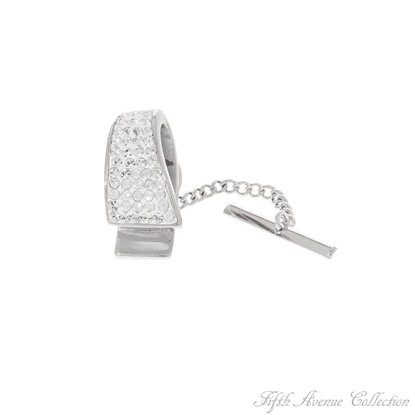 Whether you want to look sharp in the board room or lavish for a night on the town, Fifth Avenue Collection has the perfect set of cuff links for you! Show your “Maximum Strength” by making a bold statement with 14 rectangular cut clear crystals, while showing your classier side with the shine of a gleaming gold finish. Don't just be another suit in the crowd, stand out and show the world exactly what you’re made of.Nickel and lead free. 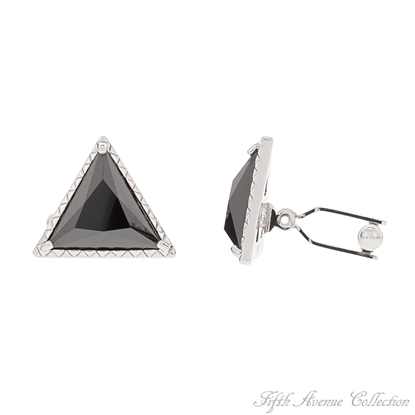 Who's the most important man in this room - the one wearing Fifth Avenue Collection's triangular shaped cufflinks centered with a cubic zirconia that flashes subtly with deep purple.Nickel and lead free. 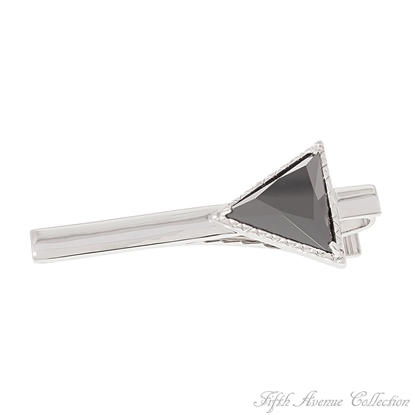 Who's the most important man in this room - the one wearing Fifth Avenue Collection's triangular shaped tie clip centered with a cubic zirconia that flashes subtly with deep purple.Nickel and lead free. 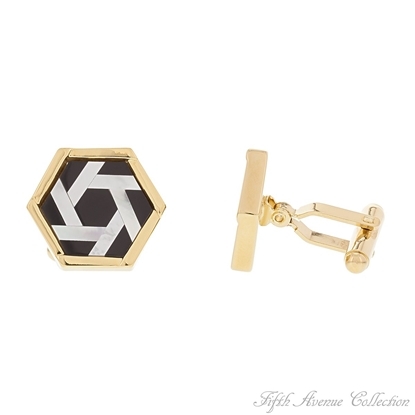 There's a whole "New Dimension" to the man whose dressing for success when he decides to wear inlaid mother of pearl set in genuine black onyx in these sharp hexagon cufflinks. 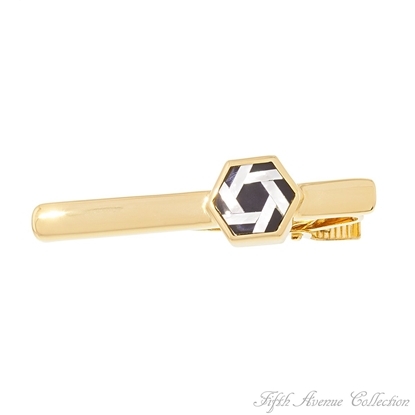 Add the matching tie clip and you've got a real winner.Nickel and lead free. 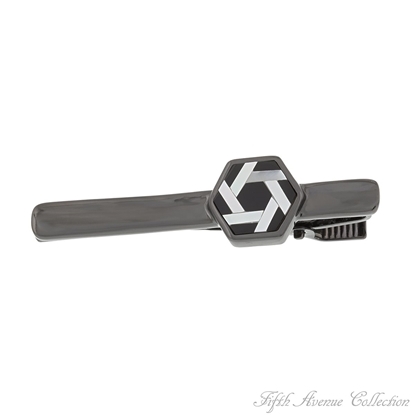 There's a whole "New Dimension" to the man whose dressing for success when he decides to wear inlaid mother of pearl set in genuine black onyx in this sharp hexagon tie clip. Add the matching cufflinks and you've got a real winner.Nickel and lead free. 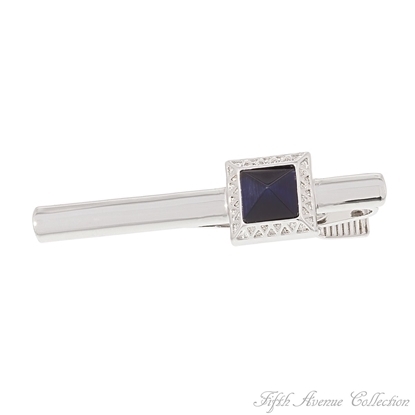 A pyramid of deep blue cats eye flashes from this handsome silver squared tie clip to lend an air of confidence at those very important social events and business meetings. The matching cufflinks complete the look.Nickel and lead free. There is no denying wearing this tie clip is a “Strategic Move” to get everyone's attention. 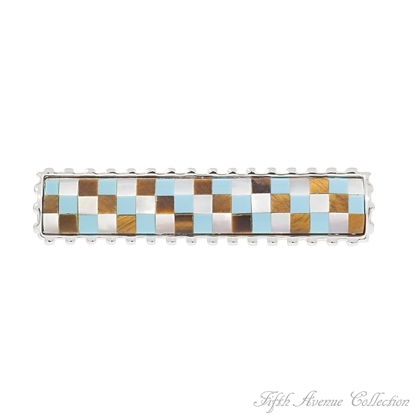 A handsome check pattern of turquoise, tigereye and mother of pearl set in a rich rhodium setting takes this tie clip to the top of the list for style. Matching cufflinks complete the look.Nickel and lead free.